The healthcare industry joined consumers in lauding recent efforts to create tests that identify the Zika virus. But experts say any advances could be hindered by the complicated disease. The U.S. Food and Drug Administration Friday gave emergency approval (PDF) to a test developed by the Centers for Disease Control and Prevention for detecting antibodies the body makes to fight a Zika virus infection. The immunoglobin m antibody capture enzyme-linked immunosorbent assay, or MAC-ELISA, test will be able to detect Zika in the blood beginning four to five days after the illness starts. Currently 21 labs in 16 states have the capability to test for an active Zika infection. CDC Director Dr. Tom Frieden said the agency plans to distribute the test to all laboratories within the Laboratory Response Network over the next two weeks. The network was launched in 1999 as a national network of 150 facilities that serve as the nation's laboratory response to public health threats. Only those with a history of symptoms associated with Zika and recent travelers to an affected area will be tested. The correct diagnosis of Zika has been a major challenge since the vast majority of symptoms are often mild and similar to a common cold or flu, raising the possibility of a misdiagnosis. Those challenges are compounded by the fact that Zika is related to dengue fever, making it difficult to distinguish between the two. Tests such as the MAC-ELISA can give false-positives. The CDC said the positive tests will be confirmed by a CDC lab. In pregnant women, Zika may expose an unborn child to brain damage, which has been linked to Zika although there is not yet definitive evidence of a causal link. There are no current plans to distribute tests to hospitals. 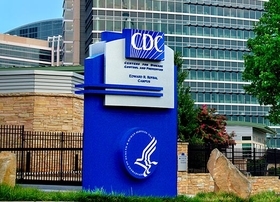 Facilities with a suspected case must submit a sample specimen to the CDC for testing, which according to its website, can take from four to 14 days to get a result. “What will a woman in her first trimester think—should I continue with the pregnancy until I can find out whether the baby is microcephalic or not—in that instance you would want to have the turnaround of the testing as quickly as possible and we just don't have that available,” Norman said. Like dengue fever and chikungunya, Zika is primarily transmitted by mosquitoes; although recently the CDC reported cases of individuals who were infected through sexual contact with partners who had traveled to an affected area. There have been as many as 147 cases of Zika virus in the U.S., as of Feb. 26. Among those those cases were 107 involving travelers, while 40 people were infected within the U.S. ​or its​ territories.